The FDA has approved marketing of four diagnostic devices from Illumina (a manufacturer of DNA sequencing machines) for “next generation sequencing” (NGS) — meaning the devices can now quickly and cheaply read and interpret large segments of the genome (the set of genetic information in your body) in a single test. 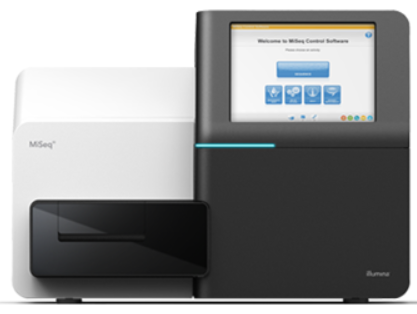 Two of the devices allow laboratories to sequence a patient’s genome for any purpose, according to Jeffrey Shuren, M.D., Director of FDA’s Center for Devices and Radiological Health in an FDA blog. One of these tests could identify men and women with the faulty CFTR gene; the second test looks for other, perhaps unexpected, mutations in the CFTR gene that could be having an impact on the patient’s health, Shuren said. Based on this FDA decision, “clinicians can now selectively look for an almost unlimited number of genetic changes that may be of medical significance,” National Institutes of Health head Francis Collins and FDA head Margaret Hamburg write in an editorial in the New England Journal of Medicine (open access). What happens when your entire genomic information is in your electronic medical record, they suggest? So instead of having to take a DNA sample, ship it, and wait for a lab to run a test, only a quick electronic query would provide your physician with the needed information to determine the course of treatment. That includes pharmacogenomics — the use of genomic information to identify the right drug at the right dose for each patient.